Cleo Miller is responsible for Construction Risk Management on a portfolio of Gardner Capital’s affordable and market rate multifamily apartments, senior living communities, and commercial & mixed-use businesses. Acting as an Owner’s Representative and Development Construction Manager, he manages owner-partner relations on all aspects of construction, including development design, general contractors, design professionals, community relations partners, consultants and direct activities associated with the construction and maintenance of structures, facilities, and systems. An experienced Project Manager, Mr. Miller has nearly 15 years of construction experience in all aspects of Construction Management in government, sports facilities, medical, high-rise, residential and commercial projects. 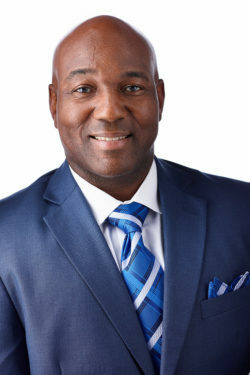 Prior to joining Gardner Capital, Cleo served at U.S. Bancorp’s Community Development Corporation, where he provided construction-related support, analyzing project & construction budgets, construction schedules, placed in service risks, and reporting on a portfolio of complex deal structures on LIHTC and CLD projects. Cleo Miller Sr. holds a Master’s degree in Marketing from Bellevue University in Bellevue, Nebraska. He holds a B.S. in Interior Design & Construction Management with a minor in Business Administration from Minnesota State University in Mankato, Minnesota.